Every home is different and the way you choose to display yours is up to you. However, cedar-siding is becoming one of the most popular building materials and for good reason. With it’s unique grain patterns, rich colors, and wide range of benefits, it’s a smart choice for both new homes and fixer-uppers. Here are four reasons why you should kick vinyl-siding to the curb and choose cedar instead. With its unique tones and patterns, cedar siding means no two homes look exactly alike. 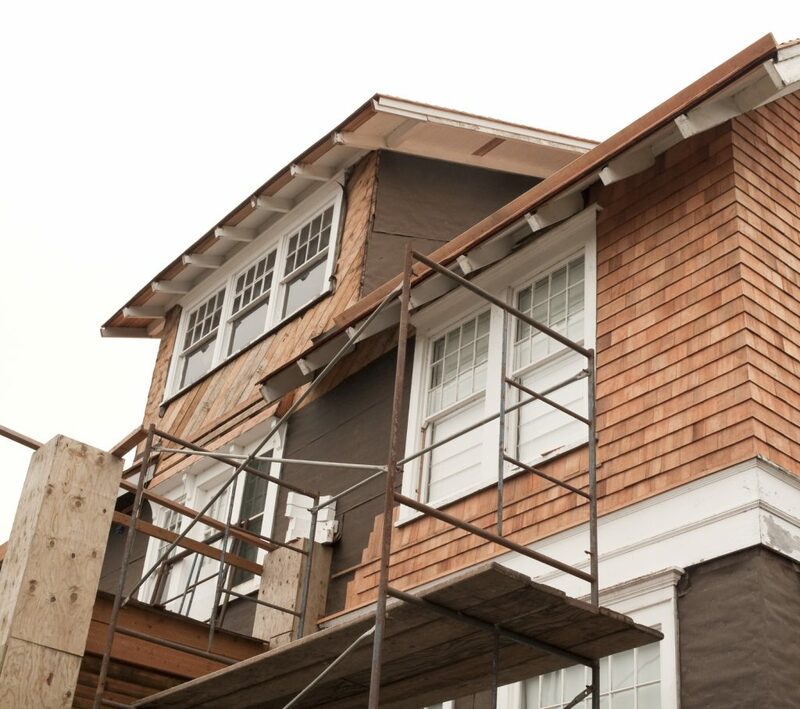 Its classic design goes well with all different types of houses and homeowners can treat the siding with stains, finishes, or oils to create their own unique look. Cedar siding is an excellent insulator. By preventing the loss of warm air in the winter and keeping in the cool air during the summer, cedar siding helps you save energy throughout the year. It also helps protects the structure of your home from excessive weather conditions. Vinyl siding is very popular, however there is one major drawback – in the case of a fire, it can release very harmful fumes. Cedar siding exceeds most building code requirements with its flame-spread and smoke development classifications. Cedar trees are good for the environment because they absorb greenhouse gas emissions that lead to global warming. Another benefit? Once it completes its lifetime of use, it is completely biodegradable. If you’re looking to preserve the health and beauty of your homes cedar, call Cedar-Life, a division of Landmark Exteriors. We clean and preserve cedar, delaying the harmful effects of sun, rain, and snow. If your cedar has already been damaged, we can help restore and rejuvenate it’s natural beauty. We leave our customers 100% satisfied, without exception. To speak with on one of our professional staff members more about Cedar Life, give us a call at 203.838.3838.